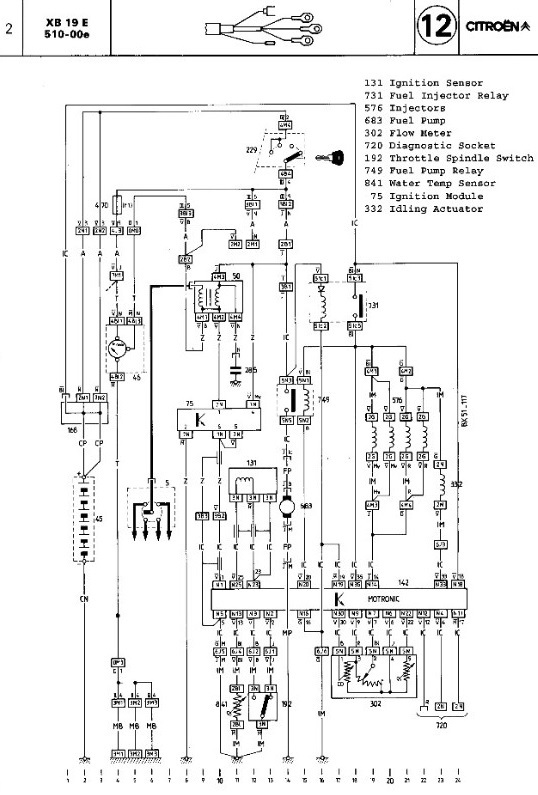 The electronic control unit (ECU) incorporated in the system is triggered by the ignition circuit and sends impulses to the injectors, which operate simultaneously and inject fuel in the vicinity of the inlet valves. The ECU is provided with sensors to determine engine temperature, speed and load, and the quantity of air entering the engine. 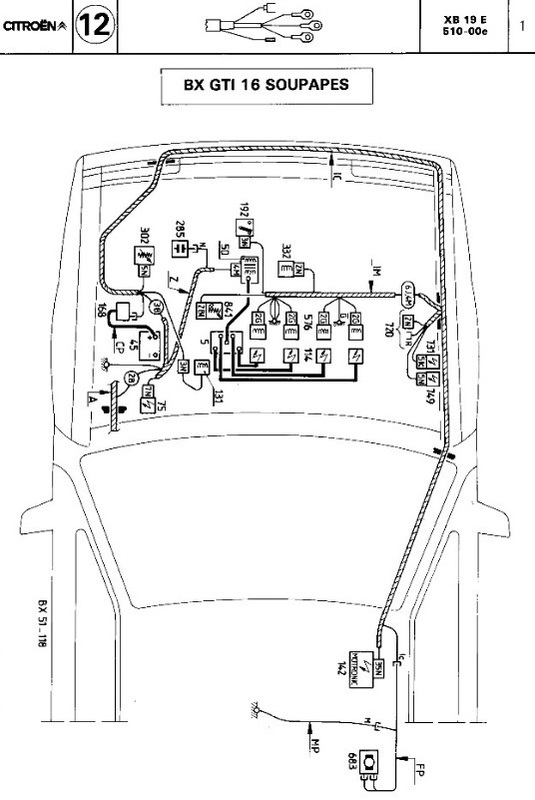 Electronic control unit (ECU) – located under the driver’s seat, the ECU controls the system components and receives signals from various sensors. Ignition coil – for the Motronic ML4.1 and M1.3 systems, a conventional ignition coil is used, being triggered by signals from the ECU. HT distributor – the distributor simply distributes HT current to the spark plugs and consists of a rotor arm on the end of the inlet camshaft and a conventional distributor cap. Knock sensor (only fitted to BX 19 GTi 16v with Motronic M1.3) – senses the engine vibrations associated with pre-ignition, which may cause engine damage unless the ignition timing is retarded as a preventative measure. Lambda (oxygen) sensor (only fitted to models equipped with Motronic M1.3 and catalytic converter) – measures the oxygen content of the exhaust gases.